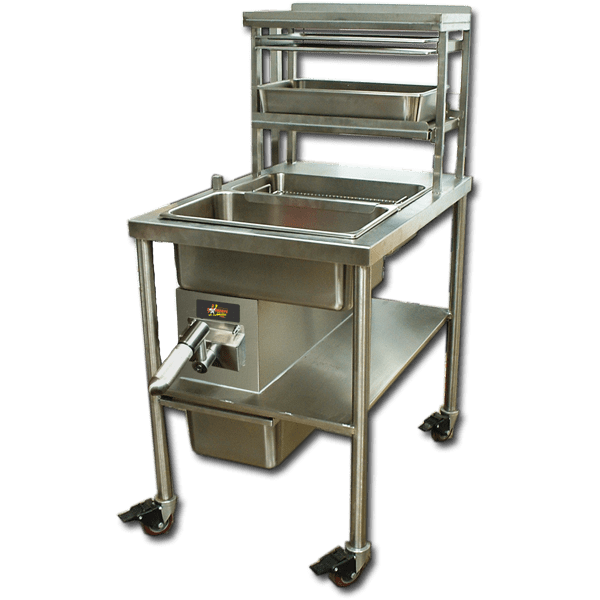 Manual Breading table ‐ Entirely enclosed blender/sifter assembly with (Sure Sift Technology) constructed from durable stainless steel, employing a hand operated rotary blender sifter mechanism that operates without vibration or agitation. When not in use the handle will fold out of the way. Spirally configured nylon bristles form a rotary auger that ejects unwanted dough balls to a separate container.